When till now Hollywood was considered a big business, it would be surprising to note that the video game business is not small then as it claims to be a $25 billion worth industry. The booming business is currently getting some action from Take-Two Interactive Software, Inc. (NASDAQ:TTWO), which has just launched Grand Theft Auto and has taken a new franchise Evolve. Fox Business interviewed the company’s CEO, Strauss Zelnick during an E3 expo to take his thoughts on the games, new Franchise and benefit to its investors. As Sony PS4 and Microsoft Corporation (NASDAQ:MSFT) launched new consoles last year, Take-Two Interactive Software, Inc. (NASDAQ:TTWO) is all set to roll out its popular title Grand Theft Auto on new platforms. Zelnick said that the next-gen platform of the game would offer a variety of upgrades to its users and would also allow them to play with folks online. ” I think with the trailer we showed here, it shows off the incredible graphics of the next-gen platform for Grand Theft Auto; it’s going to be a more populated universe with new characters, deeper characters. The whole experience is going to be vastly better, if that’s possible and imaginable,” Zelnick said. Zelnick stressed that they had done their best to improve the way their users are delighted. Turning to the company’s forthcoming new franchise, ‘Evolve,’ Zelnick said that they are trying to do something unexpected with this game. ‘Evolve’ is a sci-fi based multiplayer game that is developed with the aim to gather a large interest from players as it is expected to roll out in October this year. 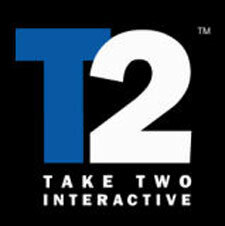 Over the years, Take-Two Interactive Software, Inc. (NASDAQ:TTWO) has been able to break its image from just being a one-game hit to a multigame hit deliverer. “Equally every year since 2007 we have launched at least one new massive hit. We hope to do it again this year. We have diversified out release schedule,” Zelnick said.